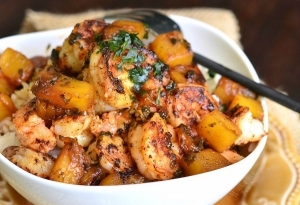 The results are in, and shrimp is officially America’s favorite seafood! 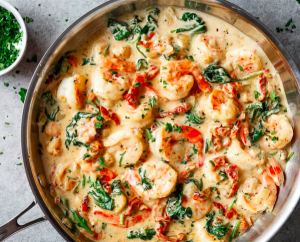 It’s no wonder we’re a crustacean-lovin’ nation given shrimp’s impressive nutritional profile and delicious taste (not to mention the endless ways there are to enjoy it). Some of the best shrimp out there comes from the Gulf Coast, and we’re proud to have found a supplier who sources wild-caught, ultra fresh shrimp right here in our own backyard. 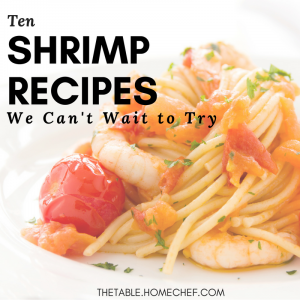 To celebrate our new partnership with the folks at Sea to Table, we’ve rounded up some of our favorite recipes featuring shrimp in the starring role. 1. This Tropical Shrimp Rice Bowl is giving us island vibes, all year round. And while a piña colada to wash it down with isn’t necessary, it’s totally encouraged. 2. Step aside, Deep Dish! Our Shrimp de Jonghe Penne is a lightened up take on a classic Chicago-style dish everyone at your table is guaranteed to love. 3. 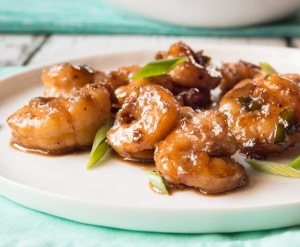 This Bourbon Glazed Shrimp is just like the food court chicken of your youth that you still secretly crave, only totally upgraded. Bonus: you don’t have to eat it off toothpicks. 4. 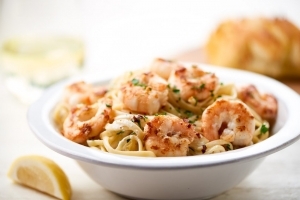 If you haven’t tried our Shrimp Scampi yet, you need to bump it to the top of your list, because it really is that good – perhaps even better than at some restaurant versions. There – we said it. 5. 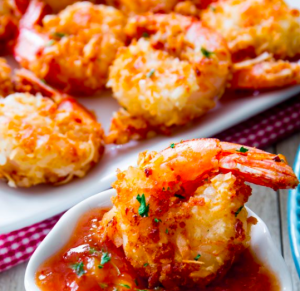 These Coconut Crusted Shrimp would not only be a great appetizer at your next party, but would also be equally delicious with some rice and veggies as a main dish! Either way, sweet chili sauce is a must. 6. 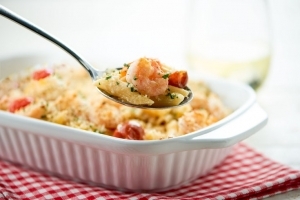 How amazing would this Creamy Garlic Tuscan Shrimp be over pasta or polenta? Answer: Very. 7. Stoked for all the Fall TV premieres you’ve been waiting all summer for? Us, too. We can’t think of a dish we’d rather cozy up on the couch with more than our Brown Butter Shrimp and Grits. 8. 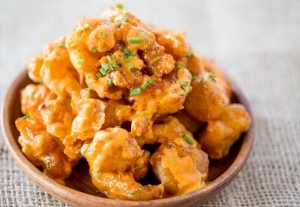 Do we really need to convince you that you need these Bang Bang Shrimp in your life? We thought not. 9. 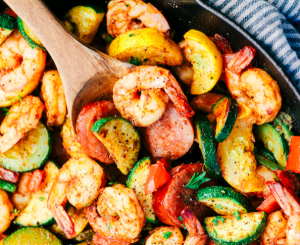 This Cajun Shrimp and Sausage Vegetable Skillet looks super flavorful and low-cal to boot. If you’re looking to feed a crowd, a heaping bowl of Creole-style dirty rice would make for the perfect side dish. 10. 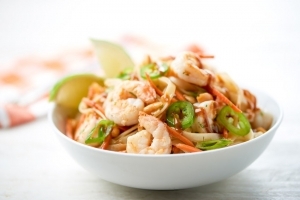 We’ve saved the best for last with our upcoming Shrimp Spring Roll in a Bowl. That’s right – all the fun of eating an entire order of spring rolls for dinner without any of the side-eye from your dining companions. You’re welcome. Getting hungry yet? 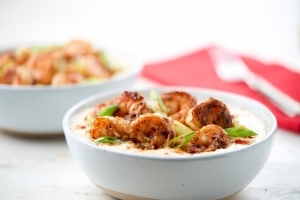 Order some of our amazing shrimp dishes featuring Sea to Table’s wild-caught Gulf shrimp here.